In un recente scritto Kate accenna all'origine e all'ispirazione del progetto, concepito come un soliloquio in dialogo con le musiche di Mike: "Now in my final decade or so, I feel a sense of urgency, a need to write more, play more music, paint more. Humour seems important, and yet the song lyrics I am writing at the moment are serious and about the environment, and death and there are few jokes. Mike and I live near Dartmoor and we go on the moor when we are able to do so. We have seen a Wheatear there and, through the early part of the summer, there are skylarks. Mike knows birds well. The cry of the Curlew is the sound for which I have a great thirst. The lyrics for Granite spring from being on Dartmoor. Mike and I discuss the ideas and instrumentation. My words sit on his piano in the music room. He plays around with shapes, forming his musical language, and soon he says ‘Can we have another word here?’ or ‘I suggest that we repeat these lines.’ And so the two of us fashion the song together. We often speak about music in terms of painting and find each of the Arts informs the others, synesthesia. 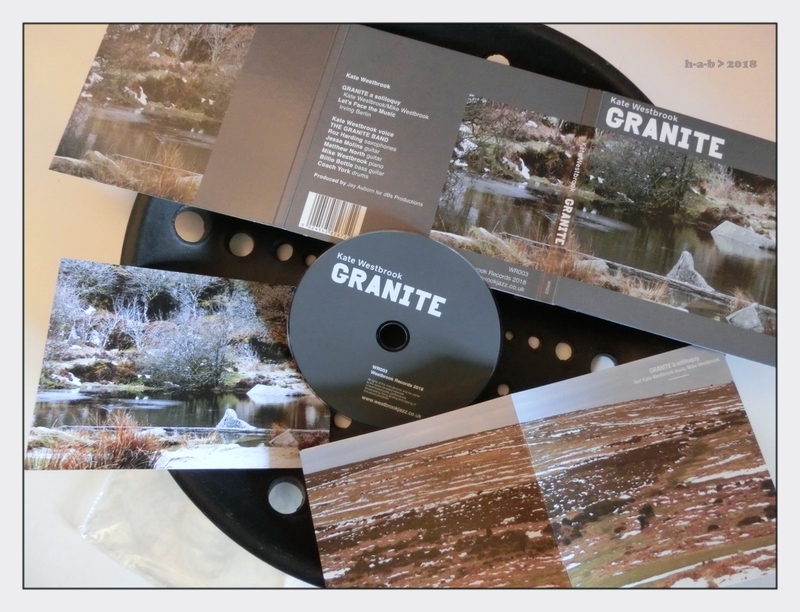 Now Granite-a soliloquy exists, played by the wonderful Granite Band. The album was recorded at dBs Studios in Bristol. Producer Jay Auborn and his assistant Callum Godfroy help us cross borders and enjoy the drama of the music with an occasional dash of humour. The first performance is imminent. What could be better at my great age than to have this fresh beginning?"